The Movies visit Books on Beechwood! On Thursday, April 28, we will be CLOSED from 9:30am until 2:00pm while a local movie crew takes over our store to film a scene for an upcoming project. We will be OPEN again from 2:00pm to 7:00pm. Join us at Table 40 for our first ever Titles@Table40 lunch event! 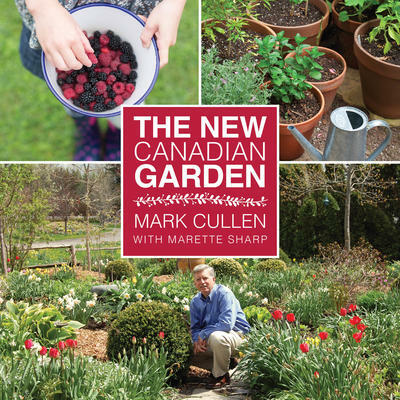 Canadian garden expert Mark Cullen will be speaking about his new book The New Canadian Garden. The event starts at 11:30am with lunch, followed by the author presentation and book signing. Attendees must reserve their spot through the bookstore with a non-refundable deposit of $15.00 which will go towards the cost of the meal (a set menu with a vegetarian option). The total cost of the meal is $29.00, which includes a three course meal. No substitutions will be allowed. Tickets for this event are available now at our store! Call or visit us to reserve your spot today! Welcome to April! It may not feel like it right now, but if you believe the weather forecasters, there is light (and heat) at the end of the tunnel. Although it’s still a little chilly out, now is the perfect time to get outside and enjoy the warm sunshine (when it appears) and breath in all that fresh, clean air. 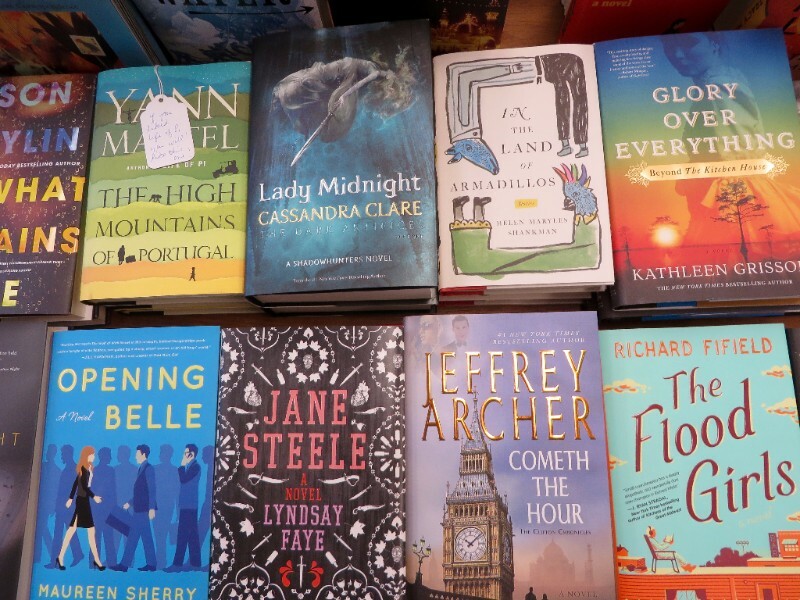 It’s also a great time to attend book events, and what better book event is there than a Titles@Table40 evening? Yes, that’s right! Titles@Table40 is back, and not only do we have one event to tell you about, but two! Our first event of 2016 will be on Sunday, April 24 with prolific Canadian historian, John Boyko. He will be speaking about his newest book Cold Fire: Kennedy’s Northern Front, which explores the relationship between John F. Kennedy, Prime Minister John Diefenbaker, and Nobel Prize-winning diplomat, Lester Pearson. 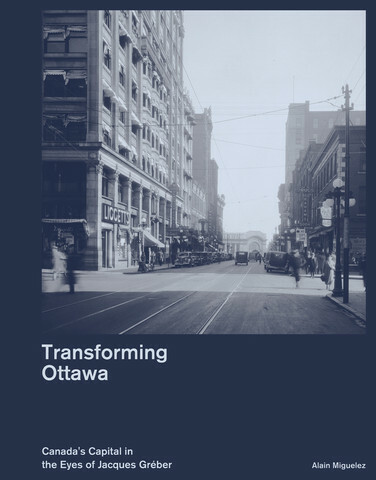 A month later, on Sunday, May 29, Alain Miguelez, the author of the tremendously successful Transforming Ottawa, will be joining us for an evening at Table 40. With the added enticement of a power point presentation full of wonderful pictures of Ottawa circa 1937-38, this Titles@Table40 evening should be a real treat! 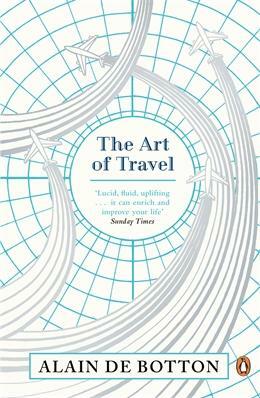 As with previous Titles@Table40 events, the evening starts at 5:30pm with dinner, followed by the author presentation and book signing. Attendees must reserve their spot through the bookstore with a non-refundable deposit of $20.00 which will go towards the cost of the meal (a set menu with a vegetarian option). The total cost of the meal is $40.00, which includes a three course meal (family-style). No substitutions will be allowed. Tax, 18% gratuity, and refreshments are not included. Tickets for both our Titles@Table40 events are on sale now, so call, e-mail, or visit us to reserve your seat today! If a dinner event is not your thing, why not visit us in-store for a great local author signing? 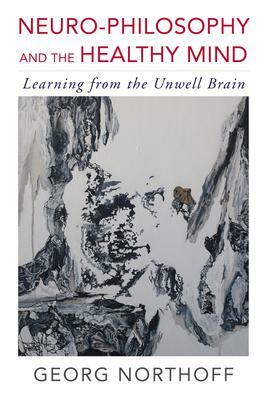 On Saturday, April 16, local professor Georg Northoff will be here from 12:00-2:00pm signing copies of his new book Neuro-Philosophy and the Healthy Mind. 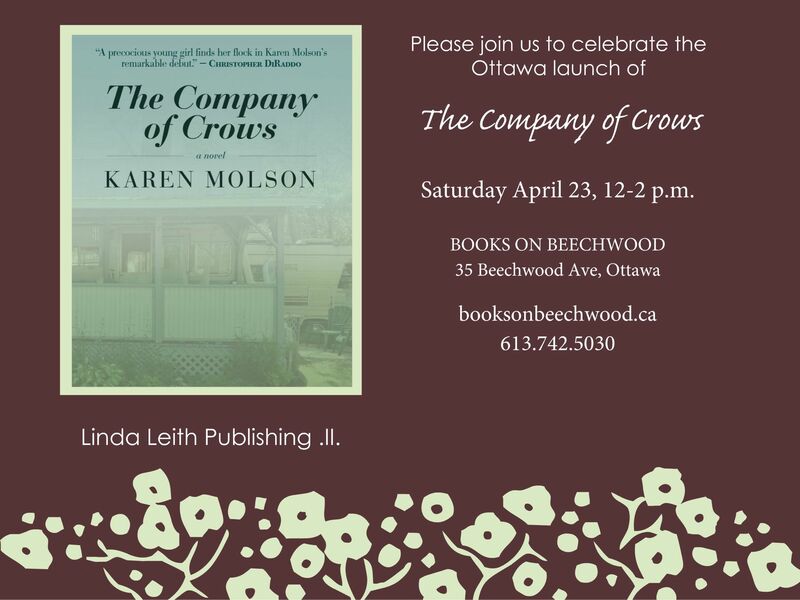 Ontario author, Karen Molson will be in the store on Saturday, April 23 to launch her new novel, The Company of Crows from 12:00-2:00pm. To round out the month, on Saturday, April 30, we will be celebrating the second annual National Authors for Indies Day! We will have a number of local authors paying us a visit throughout the day including Sarah Jennings from 11:00am-12:00pm (Art and Politics), Her Excellency Sharon Johnston from 11:30am-12:30pm (Matrons and Madams), Charlotte Gray from 12:00-1:00pm (The Massey Murder), mystery author Brenda Chapman from 1:00-2:00pm (Tumbled Graves), David Holdsworth from 2:00-3:00pm (Tough on Crime), and poet Frances Boyle from 3:00-4:00pm (Light-Carved Passages). It will be a great day filled with wonderful authors and fabulous books! Don’t miss it! With amazing titles continuing to pack themselves onto our shelves every day, we’re sure to have something for whatever mood this changeable season puts you in. 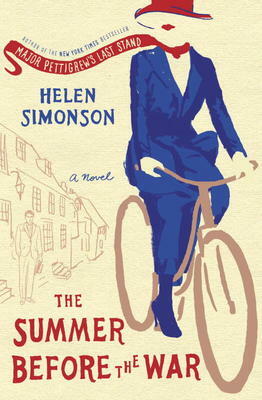 On the fiction front, Helen Simonson, the beloved author of Major Pettigrew’s Last Stand, has just released The Summer Before the War – a story centered on the sleepy village of Rye, England and the life and loves of its inhabitants. If you’re feeling nostalgic for a time when neon was in and scrunchies and leg warmers ruled the fashion world, why not try the debut novel, Tuesday Nights in 1980 by Molly Prentiss? While we can’t guarantee that these 80s staples actually play a role in the story, the vibrant descriptions of the gritty New York art scene and the characters struggling to carve out a place for themselves in it, more than make up for any fashion omissions. On the non-fiction side of things, a lovely, quirky book that has just landed on our shelves, The Legend of Zippy Chippy: Life Lessons from Horse Racing’s Most Lovable Loser by William Thomas, may be just the thing to brighten your day as we wait for spring to come. Also worth a try are, the new Alan Cumyn tongue-in-cheek teen read, Hot Pterodactyl Boyfriend and the beautifully charming Miss Moon: Wise Words from a Dog Governess by Janet Hill – a staff favourite right now! So, whether you’re looking for something that will make you laugh, cry, or hide under the covers, a trip to the corner bookstore is never wasted. Just remember, books may not give off heat, but they still make the best cuddlers. This is the story of the pretty town of Rye on the east coast of England, and the peoples’ lives up to the outbreak of World War I. We meet a happy group, enjoying their titles and servants, whose most serious concern is an attractive young woman who has been hired as the new Latin teacher in the school where no women have held such a post. Needless to say, this issue gets lost in the shocking changes that come with the Declaration of War. Helen Simonson was born in England and grew up in a small village in East Sussex. Although she moved to the United States three decades ago, she has never forgotten her English roots and is the author of the best-selling novel Major Pettigrew’s Last Stand. This book too, gives an up-close picture of British life. Simonson describes in touching detail what happens to all her characters as they quickly realize what it means to fight for their country. Join us on Saturday, April 30 for the second annual National Authors for Indies Day! Authors for Indies Day is a day long event when Canadian authors show their support for independent bookstores by being booksellers for the day. We have a great lineup of authors coming by for this great event, so be sure to clear your schedule so you can stop by and meet them! We hope to see you for this great day full of great books, wonderful authors and fabulous indies! Local author Georg Northoff will be in the store on Saturday, April 16 from 12:00-2:00pm to sign copies of his new book Neuro-Philosophy and the Healthy Mind. Join us at Table 40 for an evening all about Ottawa with local author Alain Miguelez! He will be speaking about his new book Transforming Ottawa. The evening will start at 5:30pm with dinner, followed by the author presentation and book signing. Attendees must reserve their spot through the bookstore with a non-refundable deposit of $20.00 which will go towards the cost of the meal (set menu with vegetarian option). The total cost of the meal is $40.00, not including refreshments, tax, and 18% gratuity. Tickets for this event are on sale now so visit us or give us a call (613-742-5030) to reserve your seat today! Shirley MacLaine is the legendary Hollywood actress who has played in more than fifty films and won endless awards including the American Film Institute’s Lifetime Achievement Award, the highest honour for a career in film. She has also written ten international bestsellers. 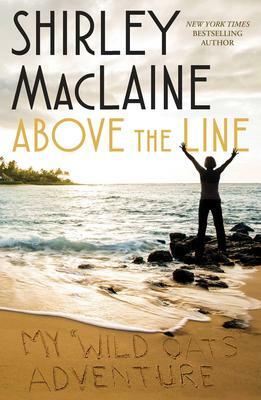 Above the Line is her latest evocative memoir and refers to creative people, working in film, who are supposed to be unburdened with unpleasant financial problems. 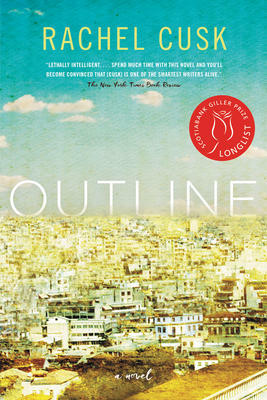 She wrote the book while working on a film Wild Oats on the far-off Canary Islands off Spain. The whole crew faced uncertain financing every minute of the shoot but carried on regardless, often using their own money. But MacLaine also came up against the mystery of the location, which was the remaining elements of the mighty lost continent of Atlantis. MacLaine has always believed in meditation and this time it leads her to a new understanding of why Atlantis fell (greed and power replacing spiritual values). She looks at our time and questions our values and where we may be heading. She has a funny, feisty style of writing which she uses to describe the tricky world of film-making. As well as that tale we get a look at an age-old mystery, Atlantis. It makes for a fascinating book.